Two Rivers Housing is investing more than £30 million over the next two years in building new affordable homes in Gloucestershire. 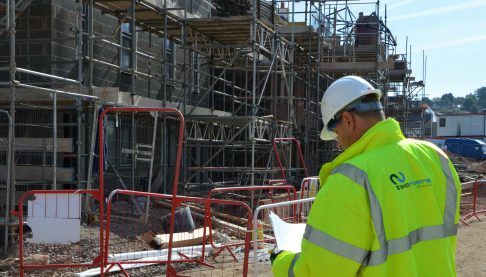 The not-for-profit social housing provider, which is based in Newent, currently has 12 schemes with nearly 300 properties at various stages of progression. The developments stretch from Lydney to Newent and Tewkesbury to Tetbury – taking Two Rivers into brand new areas of the county for the very first time, with several schemes in the Cotswolds. “There is a desperate need for affordable homes right across Gloucestershire, and we are working with local councils and developers to build homes in areas where that need is greatest,” explained Angharad Hodge, Development Team Leader at Two Rivers Housing. Two Rivers has pledged to build more than 100 homes each year for five years. The largest development is the very popular Wheatpieces in Tewkesbury, where Two Rivers is taking 104 properties over three years, and is experiencing huge demand. At the other end of the scale, Two Rivers is building seven homes in Stonehouse near Stroud and another 10 homes in Wotton-under-Edge. Most of the schemes offer between 10 and 20 new homes and the majority have a mixture of affordable rent and Shared Ownership – the part-rent, part-buy option that helps people to take a step towards owning their own home outright. Two Rivers also aims to build homes that offer high standards of energy-efficiency, which helps their occupiers to keep running costs to a minimum.